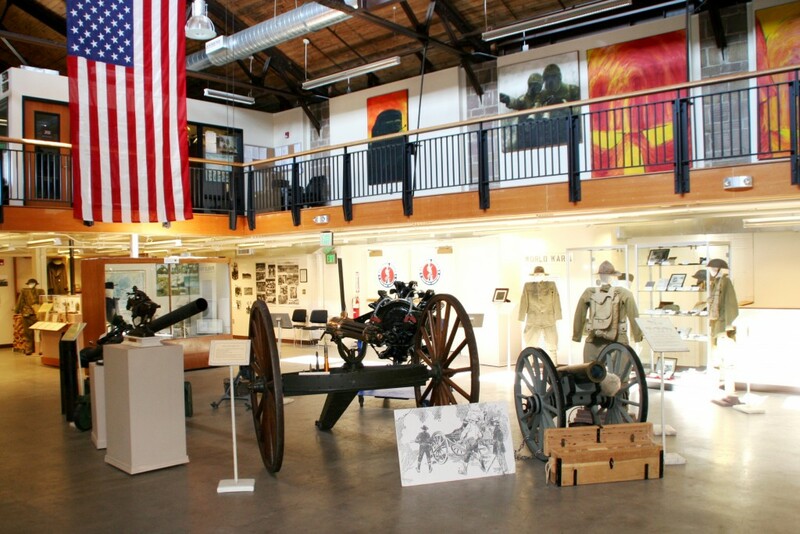 The “Arsenal” is the first permanent building at Camp Murray and was completed in 1916 for the storage of tentage, wagons and other field equipment used at annual encampments. 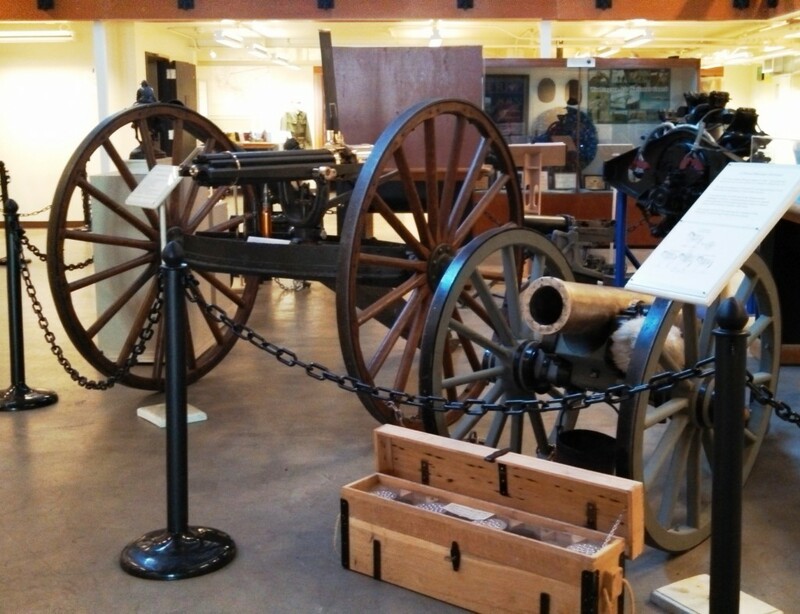 The main floor gallery contains large pieces including an original 3 inch M1905 Field gun and an 1890 Gatling gun. 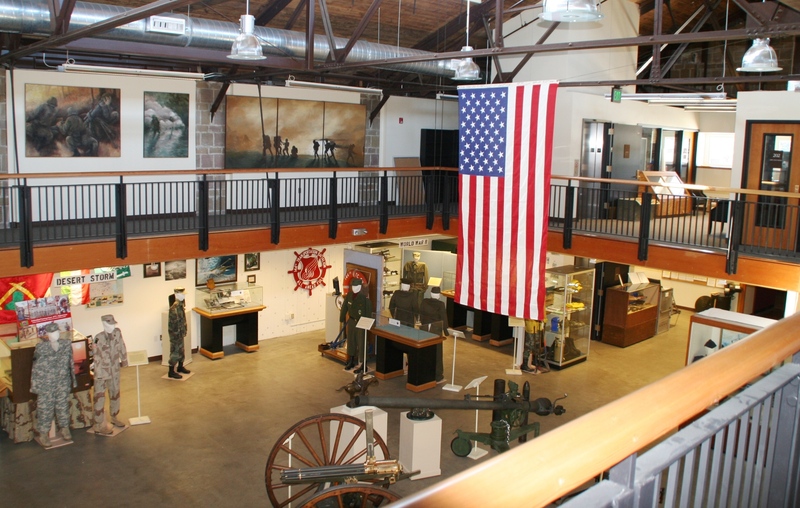 Hanging from the ceiling in the main gallery is a OQ-19D Target Aircraft (drone), US Army. These early radioplanes were introduced in 1946 and flew into the 1970s. When viewed at 200 yards, the drone appeared to gunners as a fighter at 500 yards away. It had a max speed of about 200 MPH and ceiling of around 20,000 feet. The drone had a parachute for recovery and could be fitted with flotation devices for a water recovery.